Girls Skate Night at Motion Ramps in Bristol! 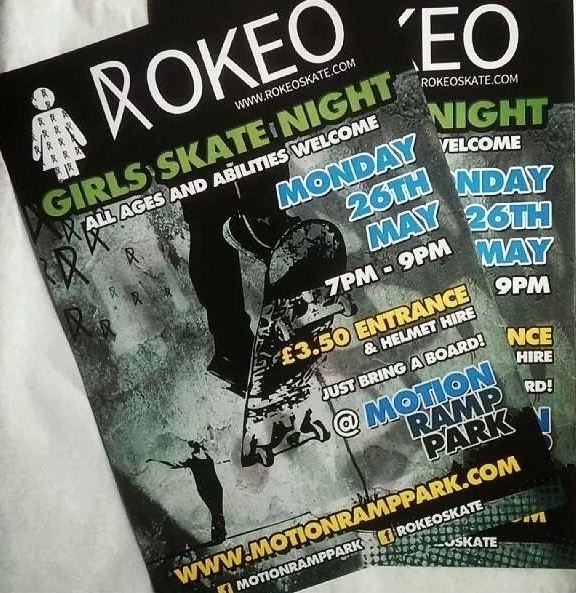 Monday 26th May will see a girls only session at Motion Ramps in Bristol from 7pm – 9pm. Hosted by Rokeo, there will be safety equipment to hire, just bring along a board! All ages and abilities welcome. It will cost just £3.50 for the 2 hour session and some informal coaching will be available should you need it!